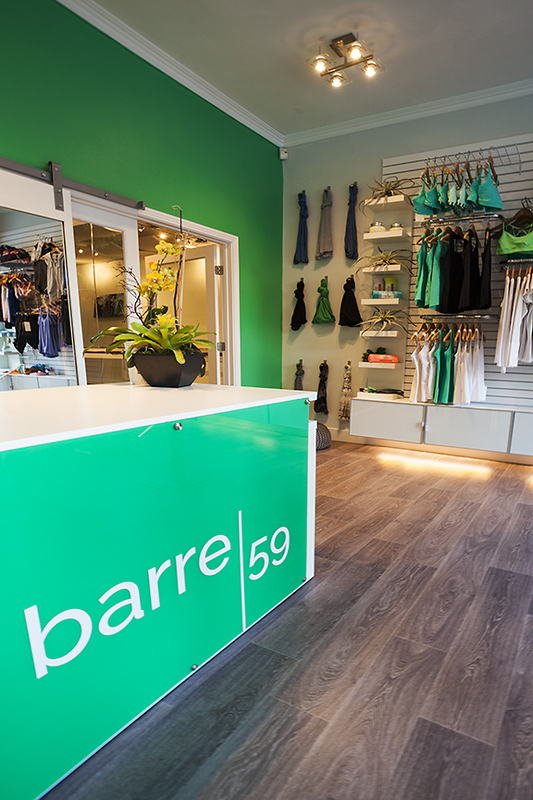 Barre 59 is a boutique Fitness Studio located in La Jolla, California. 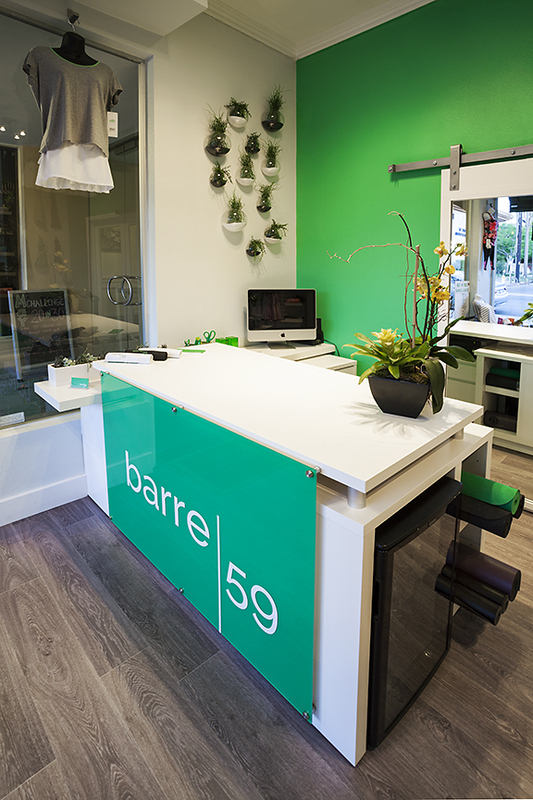 Barre 59 offers a high-intensity, ballet barre-based workout that incorporates ballet, pilates, yoga, as well as light weight work. Our work on the remodel began with a complete re envisioning of the studio concept and space. Working with the dynamic owner, Lisa Lemkhul, we set out to create a modern studio with an energetic vibe. 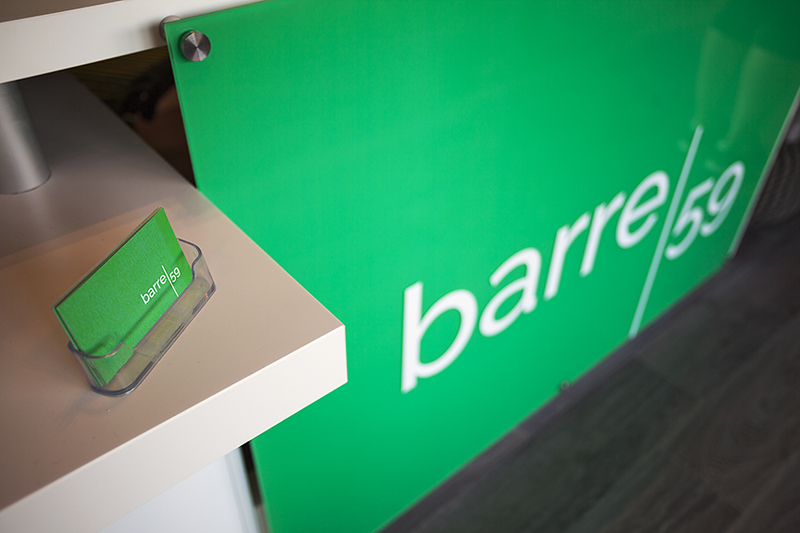 Bright green accents, a new organized retail display system and a new branding package include t-shirts and products baring the brand logo. Located in an office building our challenge in the studio was to provide sound proofing for other tenants in the building. Our solution was to install sound clouds, allowing us to create a visually interesting ceiling while keeping the transfer of studio music to other tenants to a minimum. Other design upgrades include a custom mirrored barn door for trying on clothes in the boutique as well as an Ikea Hack desk, complete with yoga mat storage, retail display and a built in refrigerator for drinks.